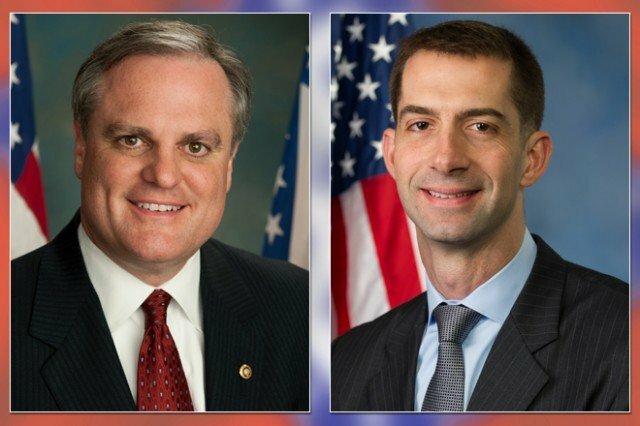 In Arkansas, Democrat Senator Mark Pryor is running for re-election against Republican Tom Cotton, a freshman congressman. Mark Pryor was elected to the Senate in 2002 after stints as Arkansas’ attorney general and in the state legislature. He is a centrist Democrat who sometimes crosses the aisle to join Republicans, for instance by opposing a bill to raise the federal minimum wage. He voted for Barack Obama’s signature 2010 healthcare overhaul, which is roundly despised by the Republicans. Tom Cotton, a Harvard-educated lawyer who served as an Army officer in Afghanistan and Iraq, is among the most conservative members of the House. In the past decade the Republican Party has taken control of the Arkansas state legislature and won five out of the six federal offices, with Mark Pryor the last Democrat representing the state in Washington. That leaves Mark Pryor among the most vulnerable Democratic incumbents of this election cycle.